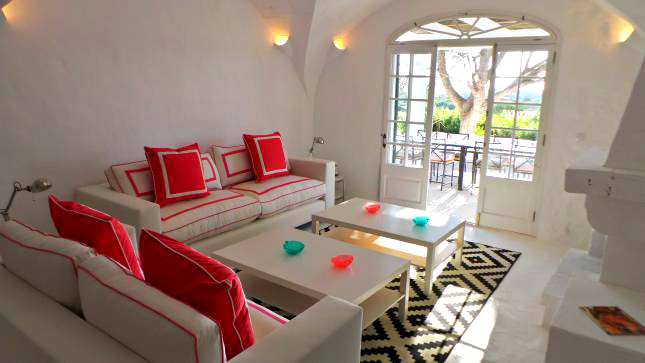 This months new villa is a just renovated, 200-year old convent farmhouse located in a unique and secluded spot. 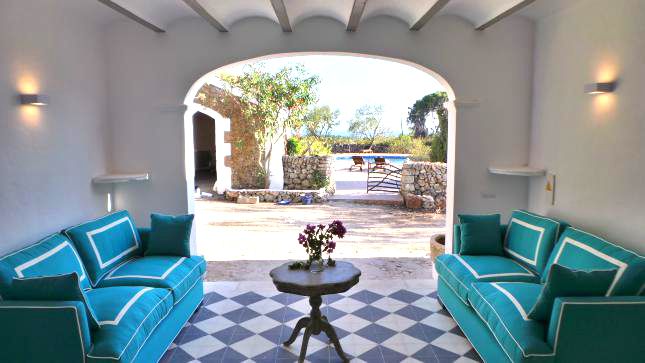 Boasting its own neolithic monument ("Tallaiot") and 360 degree panoramic views over the rolling countryside of Menorca from its terraces, gardens and pool facilities, Es Migjorn Gran is ideally positioned for a stylish summer holiday. Located on a quiet rise between the village of Es Migjorn and the wonderful beaches at Santo Tomas at the end of a private drive, this is a recently renovated and exceptional country house on a private estate with large gardens, wonderful outside facilities and panoramic views down to the south coast, and across to Mallorca, over rolling countryside. Renovated to an exceedingly high standard with 100% new furniture, fittings, kitchen, bedrooms and bathrooms in June 2014. With newly fired, hand-made hydraulic tiles on the floors, modern kitchen, subtle LED lighting, hand-made design sofas, air-conditioning, flat-screen TVs in nearly every room and brand-new pool furniture, this is an exclusive holiday home for families with the very highest and most exacting standards. For full details of this stunning villa, please click here.